My first meeting with Naked Lime was at the GM Compass meeting. I was initially turned off when I heard you were a marketing agency, because that's what I did at the time. I was not yet the BDC manager, so all I did was market for the dealership. I know a lot of dealers don't know what they are doing when it comes to marketing, but I do. I watched your demo and learned how you analyze things and what data you use. I understood everything well, but we were on the fence. At that time we had CDK and I was very unhappy with the results we were getting. I chose Naked Lime because you were easier to work with. I judge people quickly. It became apparent that I would be able to depend on you better than the others. It was a better working relationship from the beginning. We didn’t buy all the services at once. I bought something and liked it and grew. I kept giving you more because I'm able to trust you with more. It’s very important to have everything working together. The services complement each other, and I like that we all get on the phone together and go through each part of our marketing. Now I can have everything taken care of at one time in one hour and depend on it being done. That means a lot. When we were with CDK, they wanted full control of our analytics. They would hide things and try to make it look like some areas were performing better. When I moved away from CDK I lost two years of analytics. 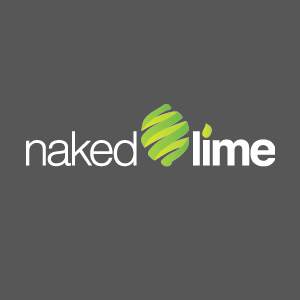 Naked Lime lets me have access and you let me have a say. That's a big deal to me. It's a trust thing. Naked Lime has transparent reporting, but we can see the results. We market with our social media and have had a huge increase in Facebook fans. It increases our reach and who we can market to. When I have almost as many fans as the local radio station and can reach as many people, it's a big deal for me. Naked Lime saves me time. It's just a lot easier on me as the BDC and Marketing person here. I have more time to focus on growing the business, handling leads, and closing deals. To make a fresh start with a marketing partner that truly works with you to help your dealership succeed, call 855.NKD.LIME or email info@nakedlime.com.